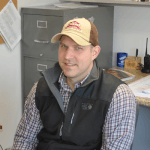 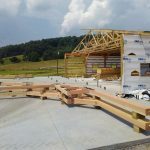 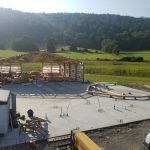 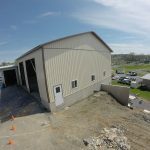 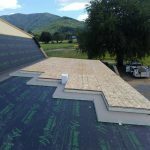 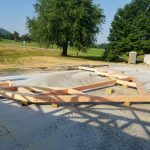 Known for our many years of experience and skill in post frame construction Stoneburner was chosen as part of a team of skilled craftsmen contracted by Rhodenizer Construction to complete a magnificent new venue in Luray. 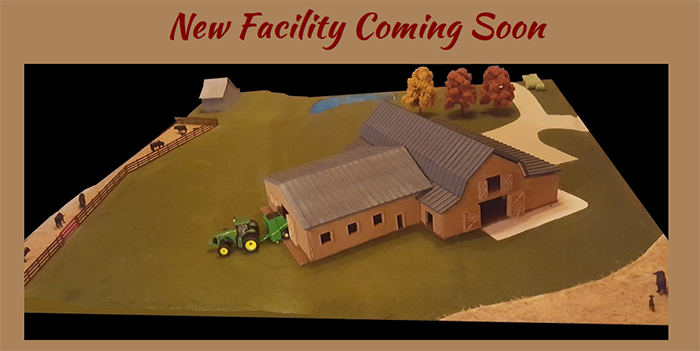 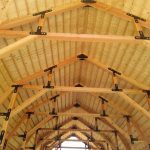 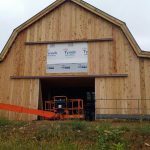 A large rustic barn known as the "Chandelier Barn" will be air conditioned and heated as well as ADA Accessible for guests. 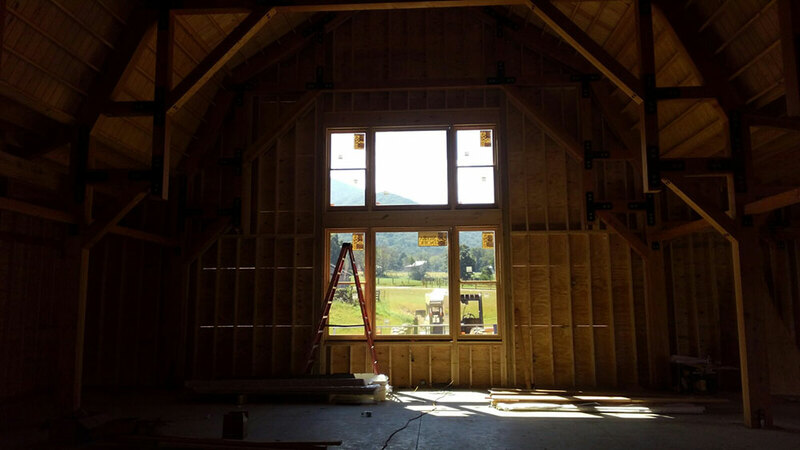 It will have a Bride's Room with separate bathroom, Loft for Gentlemen to relax, and other amenities. 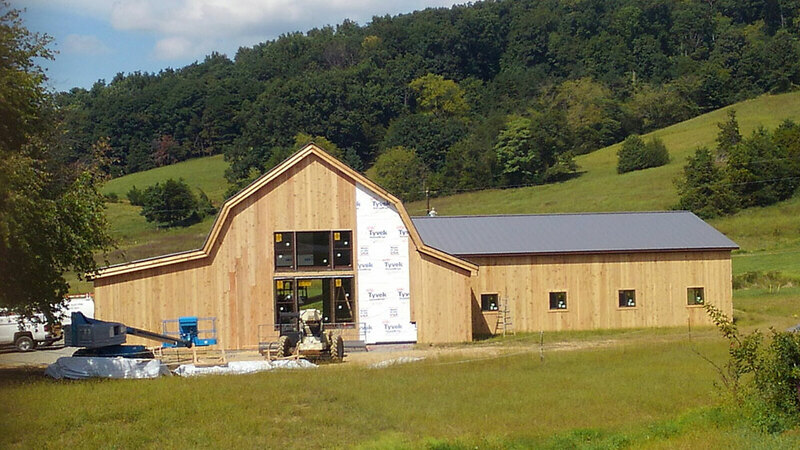 Owners Tom and Diane Hirsch.have lived in the valley almost 30 years raising their family. After their son was married on their property they began opening it up for weddings and special events. 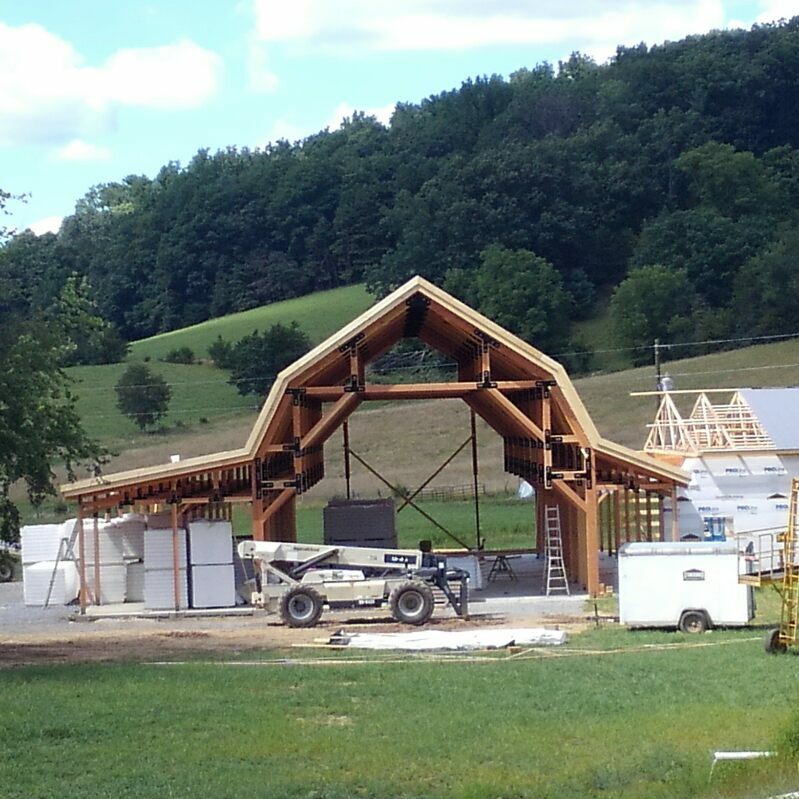 The Chandelier Barn will be a beautiful addition offering guests a rustic yet elegant experience. 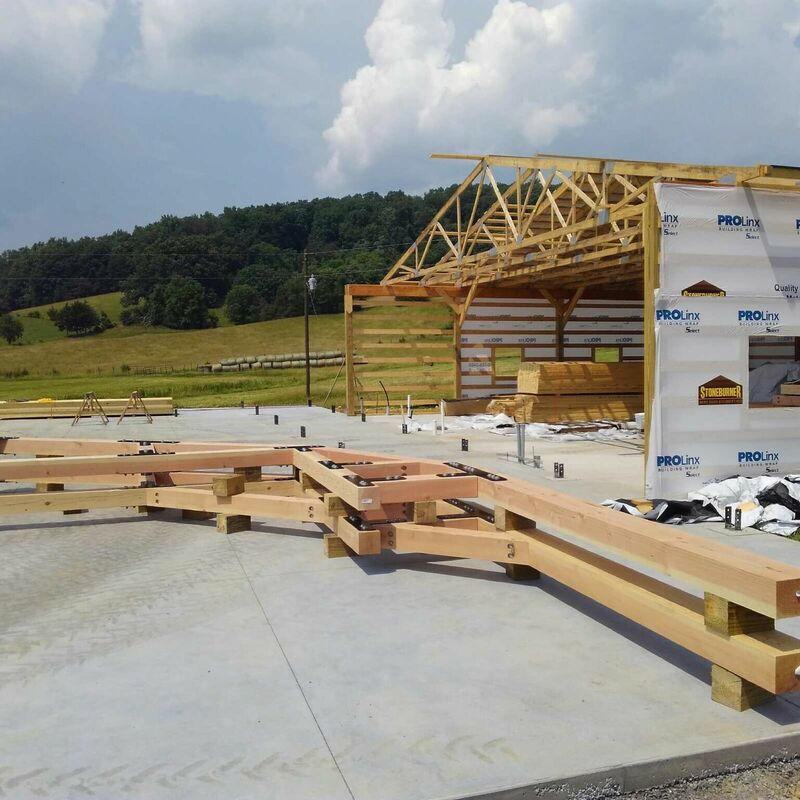 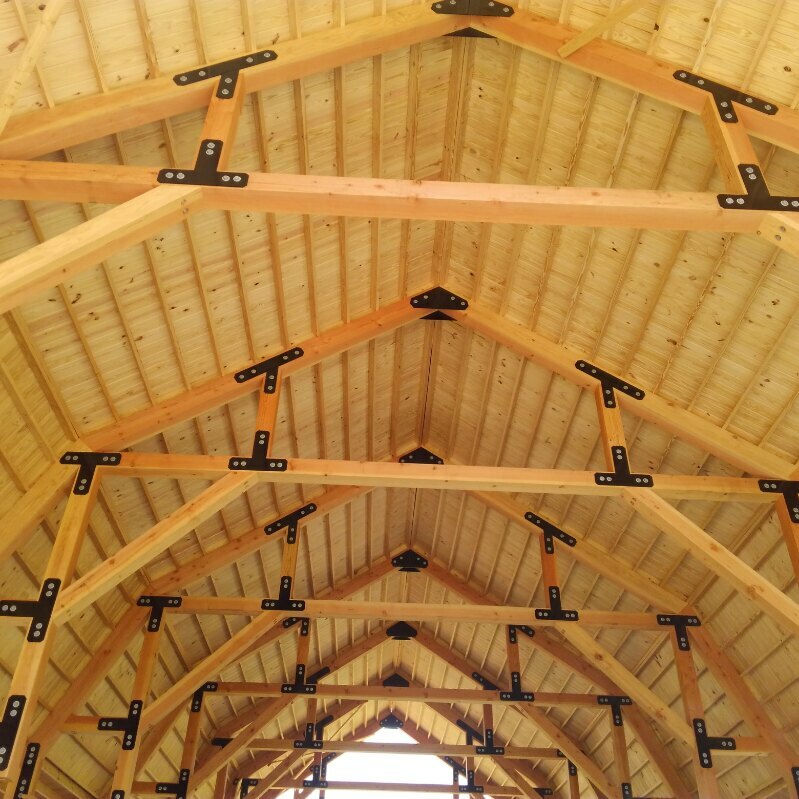 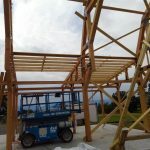 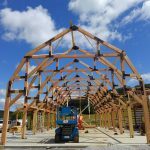 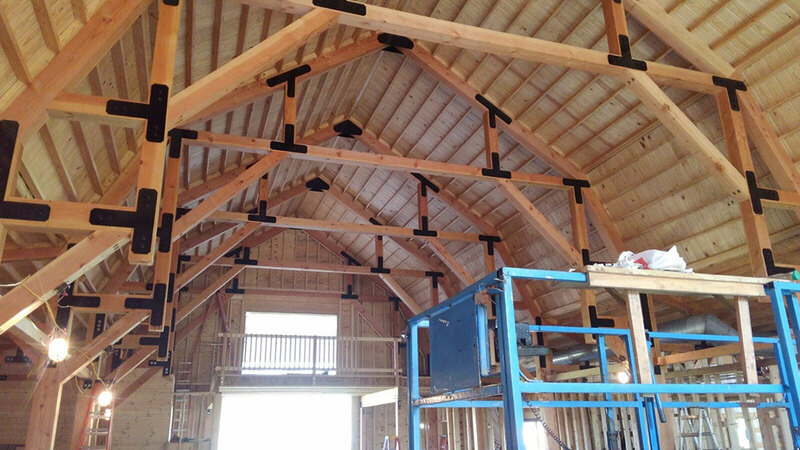 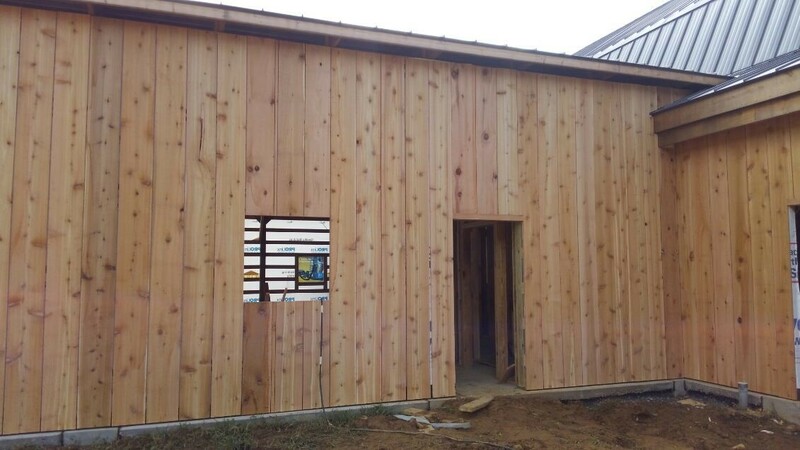 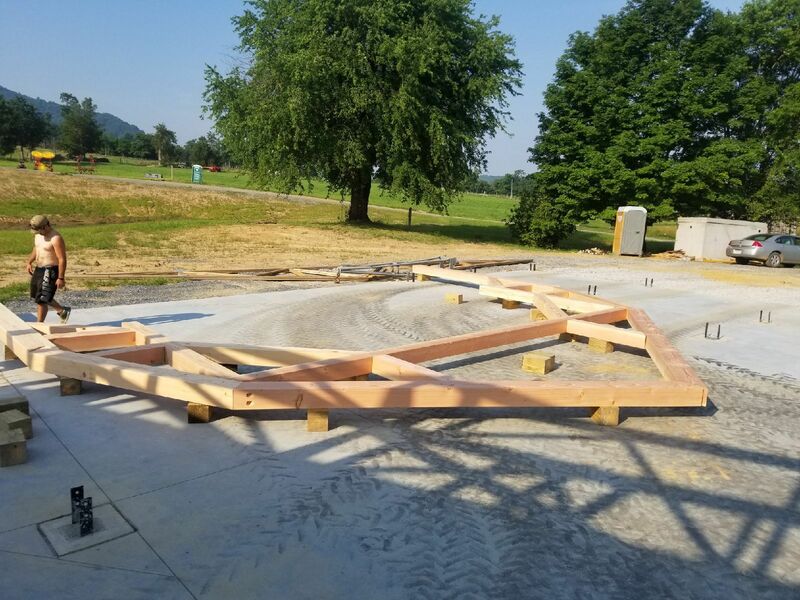 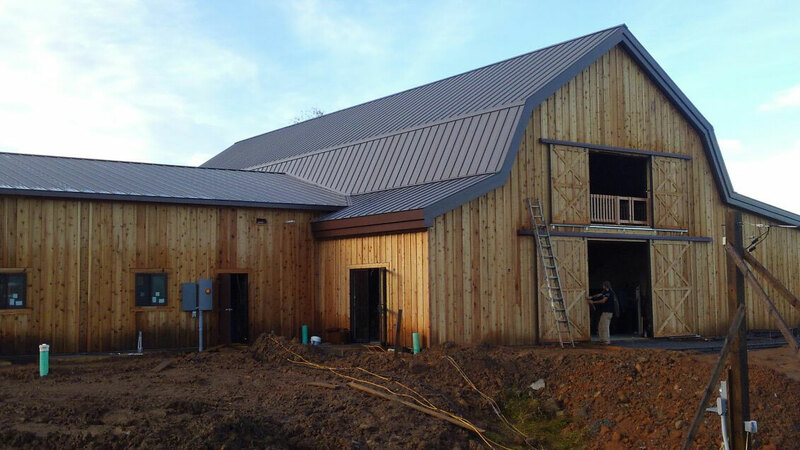 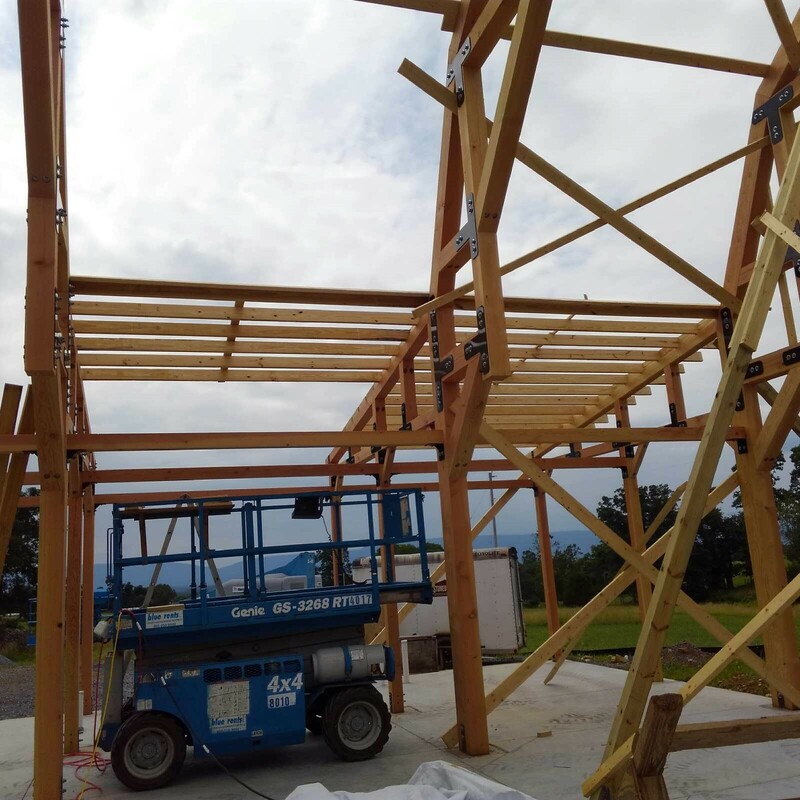 Project Scope: 57′x84′ timber frame event center with attached 48'x50' equipment and storage room. 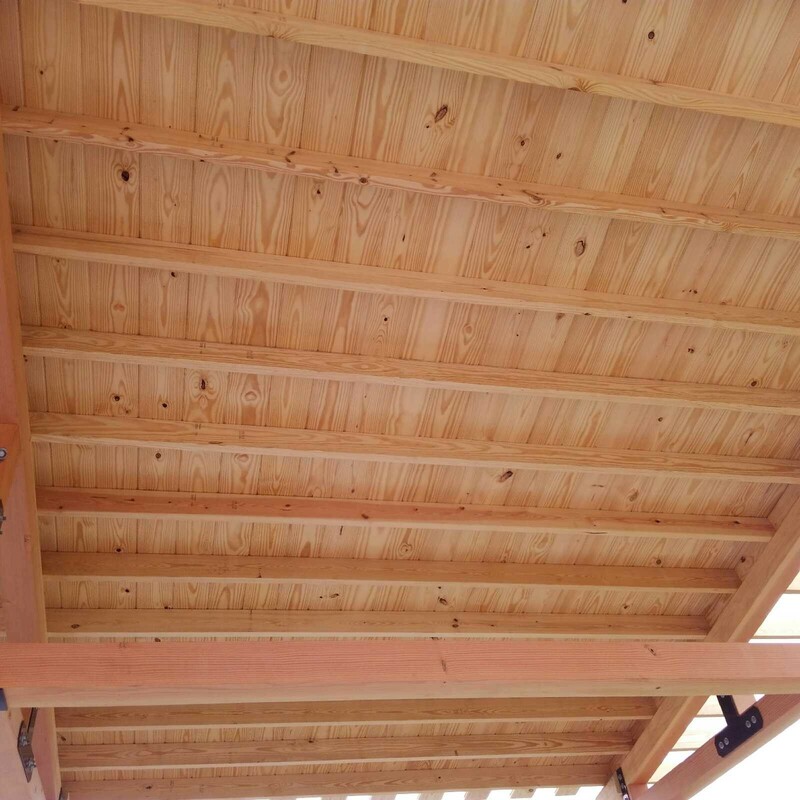 Featuring massive #1 Douglas Fir timbers assembled with powder coated steel plates, with #1 Southern Yellow Pine tongue and groove ceiling. 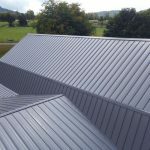 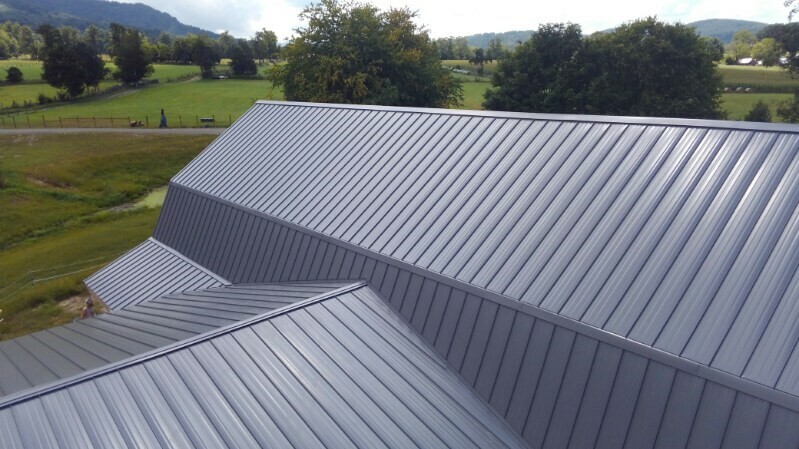 Polyisocyanurate insulated roof panels, vented to prevent condensation, provides R38 to keep this building efficient. 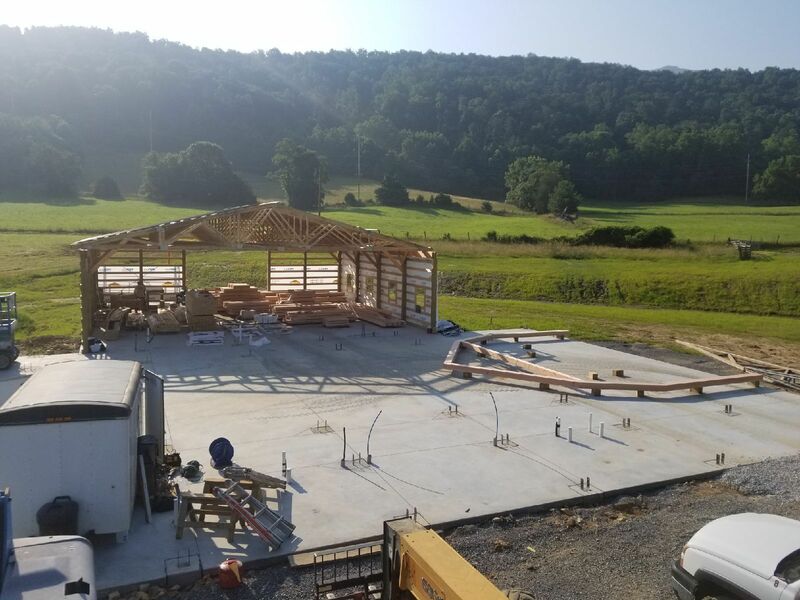 Thanks to the lifetime paint system that is a part of the H-Loc 26 ga. concealed fastener roof from Central States, this structure will be a stunning facility for years to come. 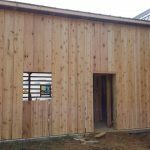 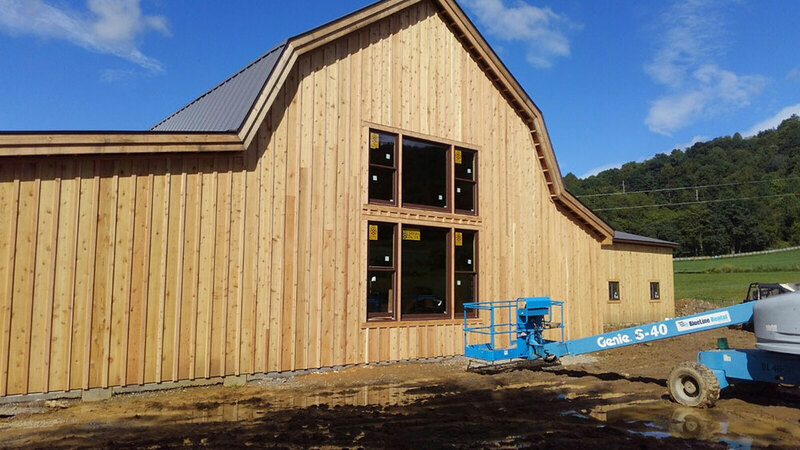 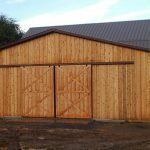 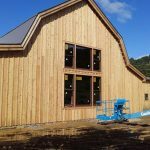 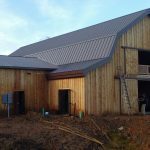 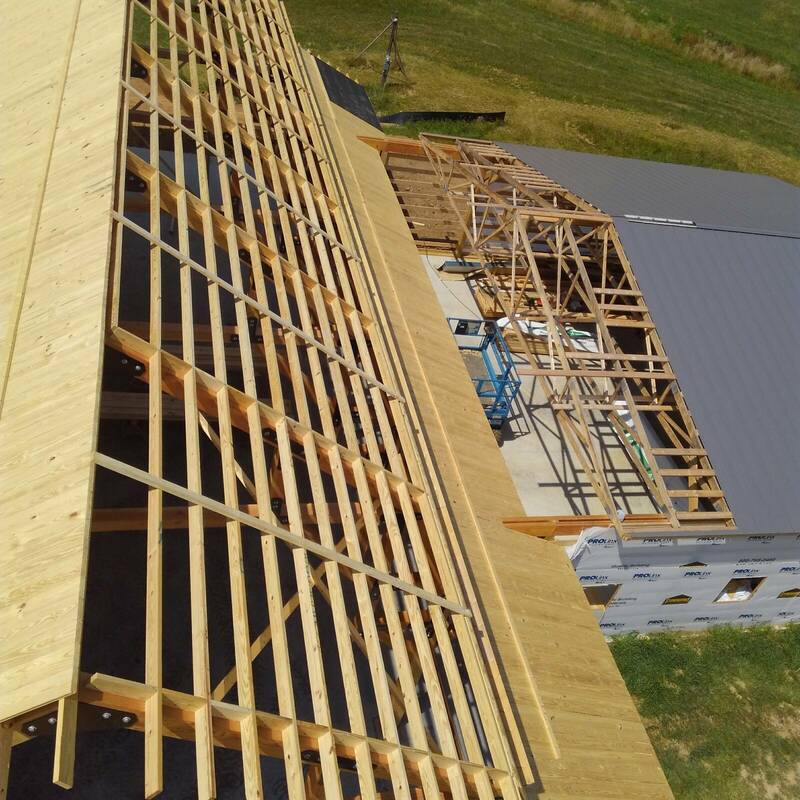 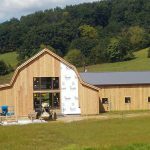 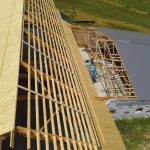 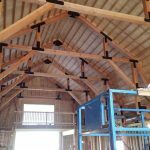 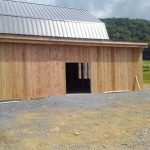 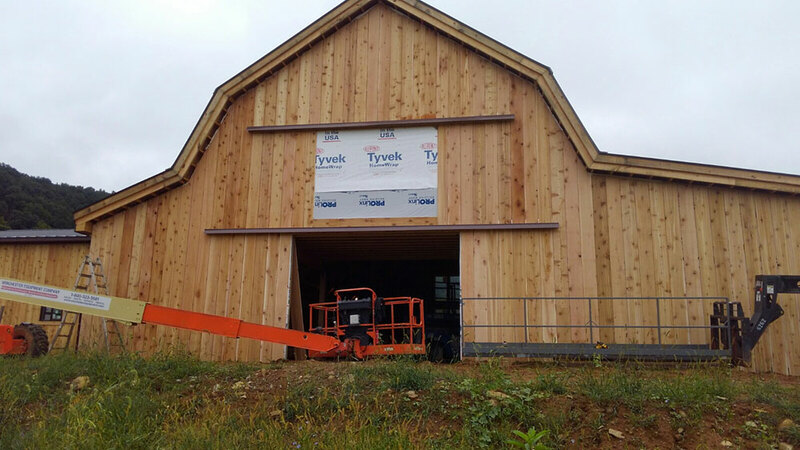 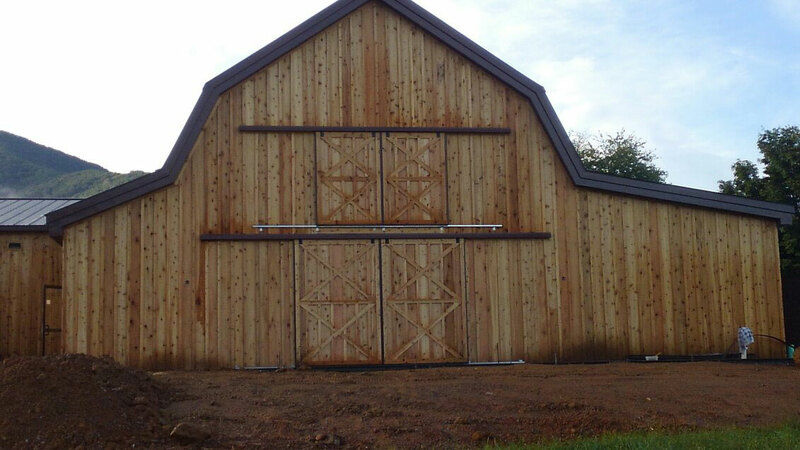 Cedar board and batten siding will complete the rustic charm of of this spectacular barn. 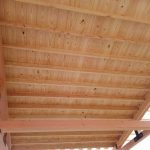 Timbers: 8"x12", 8"x10", 8"x8', and 6"x6" #1 Douglas Fir timbers. 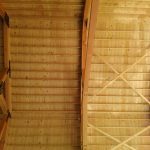 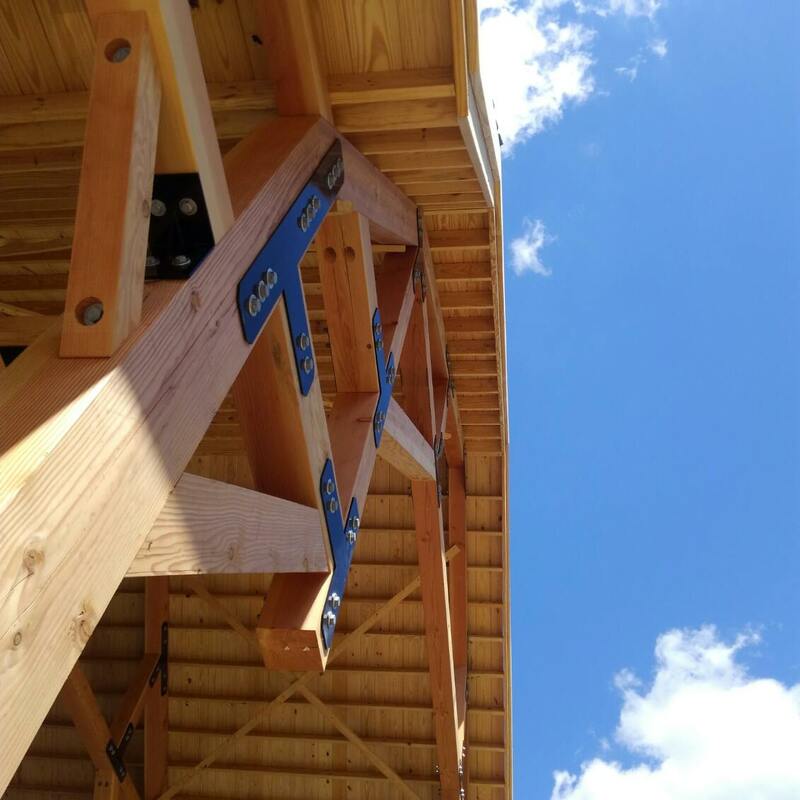 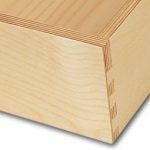 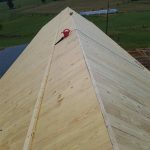 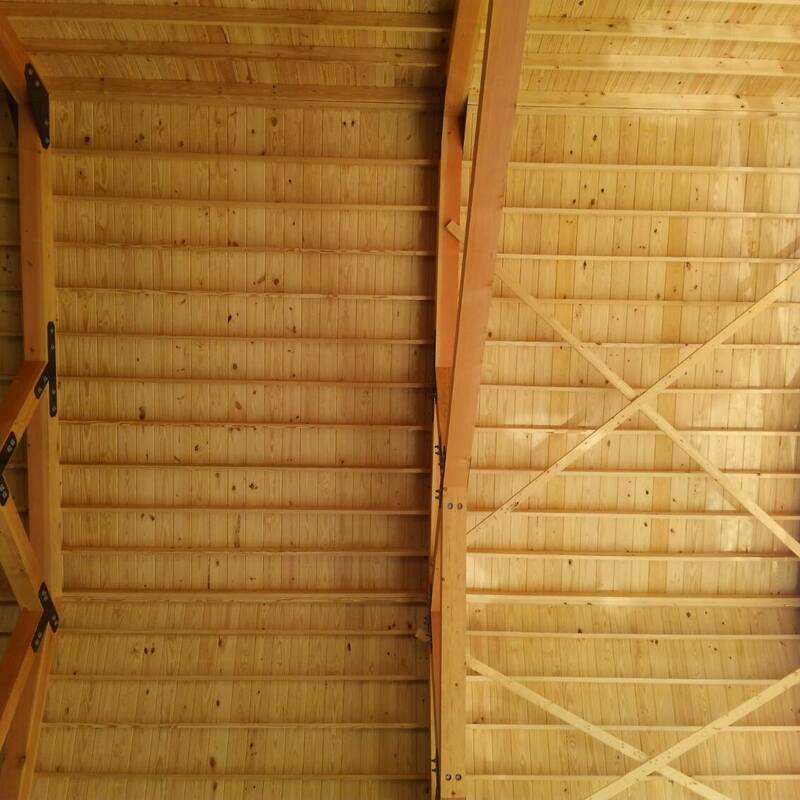 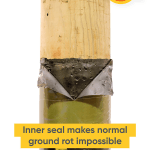 Exposed Roof Sheathing: #1 Southern Yellow Pine 2x8 T&G. 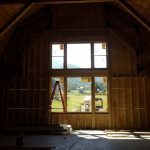 Windows: Sierra Pacific aluminum clad fixed and double hung. 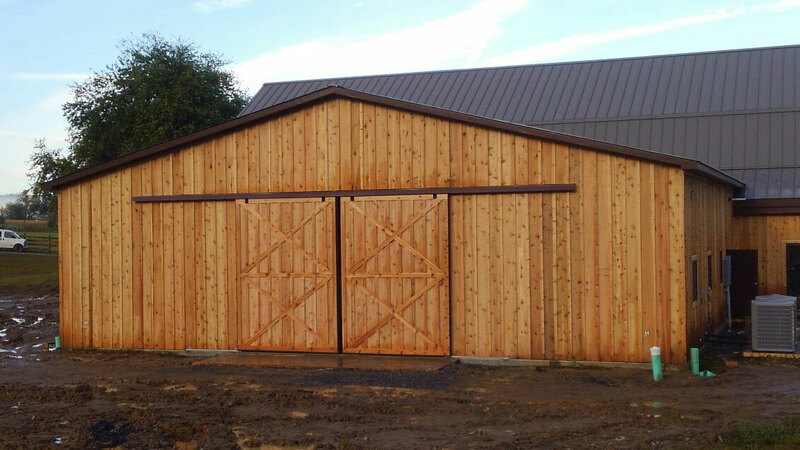 Sliding Doors: National galvanized door hardware with Plyco door rail system. 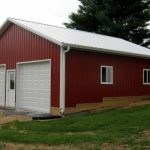 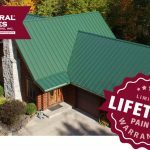 Storage room: 8"x8" posts with 3/12 roof trusses 48" O.C..
Metal Roof: Central States 26 Ga. H-Loc concealed fastener roof system with lifetime warranty, Charcoal. 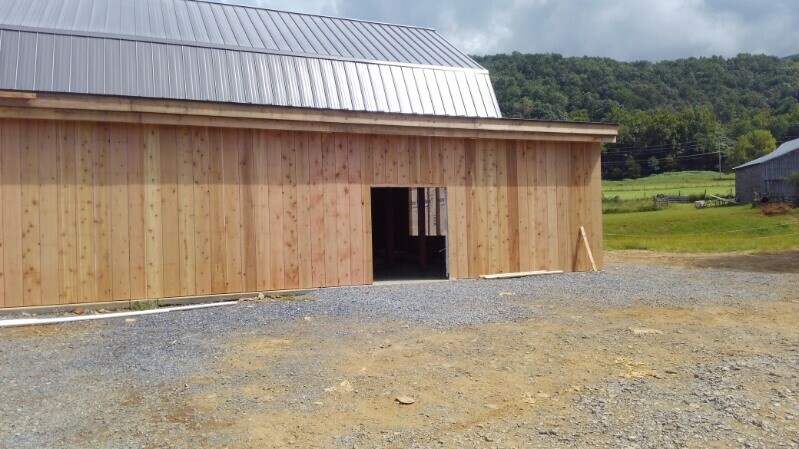 Siding: Cedar 1x12 board and batten. Browse the gallery to see the progress Stoneburner is making on it's part of this project. 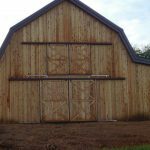 Visit the Stoneyman Ranch website to learn more about their unique venue.